Hamilton is the Broadway success story of the year, maybe the decade. And it’s about to become the hottest item on your 11th grader’s U.S. history syllabus. 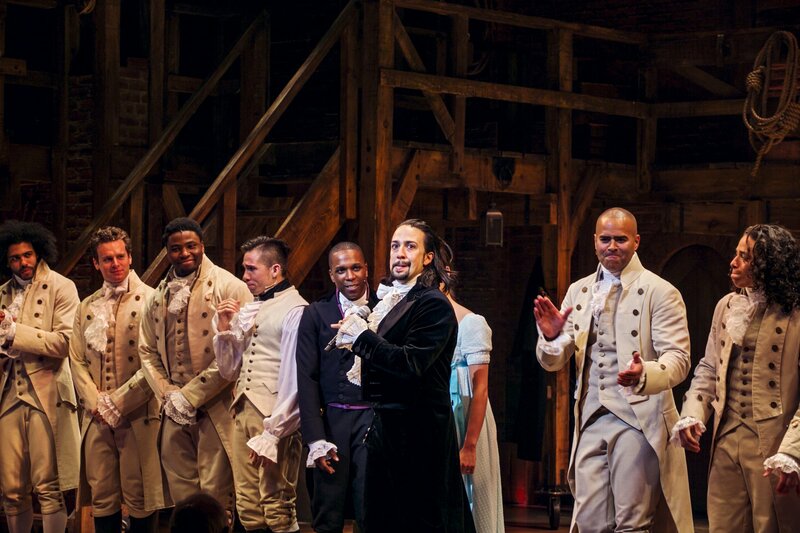 In classrooms from New York City, where the show packs the Richard Rodgers Theatre nightly, to the West Coast, Hamilton is making educators rethink how they teach early U.S. political history—and making students rethink how much they care. "I first heard about it the way most of us did—from rapturous reviews," says Jim Cullen. A high school teacher at the Ethical Culture Fieldston School in the Bronx, where he chairs the history department, Cullen's interests range from U.S. political history to popular music. (He’s probably the only New York City schoolteacher who’s published a book on Bruce Springsteen.) So when a group of Fieldston middle schoolers and faculty scored a block of tickets to Lin-Manuel Miranda’s hit musical about Alexander Hamilton, Cullen tagged along. He was startled by how much he loved the show. That was in the spring, before Hamilton debuted on Broadway. Then, in his advisory class in the fall, Cullen noticed his students had caught the bug. They blasted the Hamilton cast recording from their phones and devices. “They were singing these songs the way they might sing the latest release from Drake or Adele,” Cullen says. After noticing the Hamilton soundtrack made a dent in the Billboard 200 sales chart, he realized, "This has got tremendous cultural currency." So Cullen did the inevitable: He designed an entire course centered on Hamilton (the figure) and Hamilton (the show). He’ll be teaching Hamilton: A Musical Inquiry in the fall. 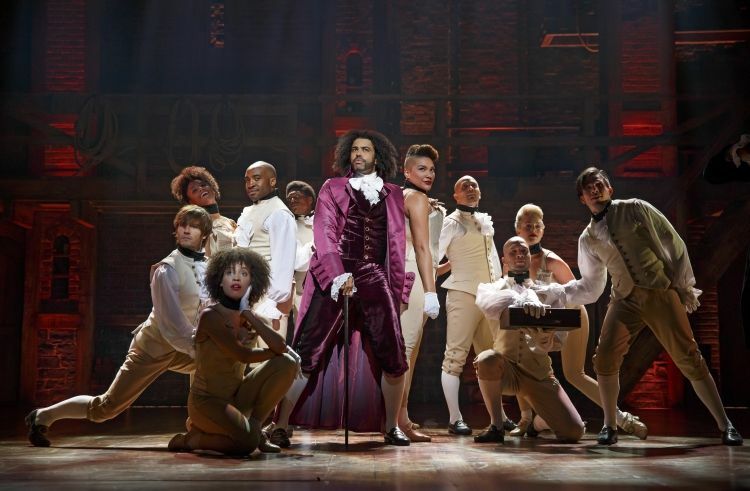 Students will be asked to sift through primary sources like George Washington’s farewell address and show tunes like “One Last Time” and “Washington on Your Side”; one essay assignment is to pick a song from the cast recording and analyze it. And Cullen isn’t the only teacher mining Hamilton fever to get 16-year-olds enthused about the profoundly unsexy details of Revolutionary-era nation-building. But for educators, the play’s success is ripe with untapped teaching potential. Yes, it takes creative liberties—the Founding Fathers didn’t really spit rhymes or use phrases like “John Adams shat the bed”—but the story is historically sound. (“The thing about Hamilton’s life,” Lin-Manuel Miranda tells Newsweek, “is the truth is invariably more interesting than anything I could have made up.”) Historian Ron Chernow (whose 2004 biography of the first secretary of the treasury inspired the script) has praised the musical for capturing Hamilton’s ambition and his obsession with controlling his legacy. And along the way, Hamilton delves deep into U.S. history–friendly issues like the Constitutional Convention, the Federalist Papers and the bitter Adams vs. Thomas Jefferson presidential election of 1800. The eighth-graders started requesting Hamilton as background music even when they weren’t working on those projects. When it came time to choose a song to perform in the school’s annual winter concert, they picked Hamilton’s opening number. And though they are young, the kids picked up on the show’s racial inclusivity (Davila made a point of showing YouTube clips and interviews). Most students, thwarted by distance or prohibitive ticket prices, won’t wind up seeing Hamilton on Broadway. There’ll be a movie someday, but not too soon (there are no plans to film the current cast, Miranda says, contrary to a widely spread misquote). A book containing the script and photos from the show is being published in the spring, but that’s hardly the same. Fortunately, educators and benefactors have found ways to bring some lower-income students to see the show in person. The Rockefeller Foundation in October joined forces with the show’s producers to commit $1.5 million to subsidize tickets for 20,000 New York City students. 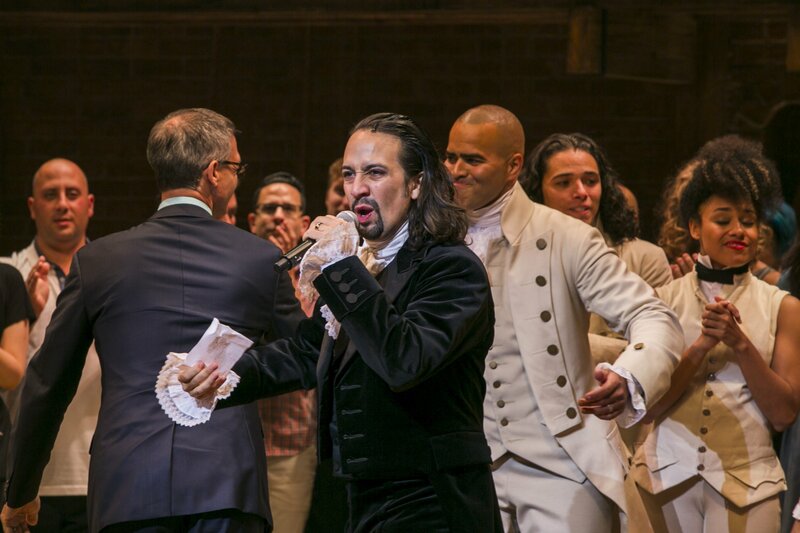 (The Gilder Lehrman Institute of American History has been involved, creating a Hamilton-related curriculum as an online resource.) 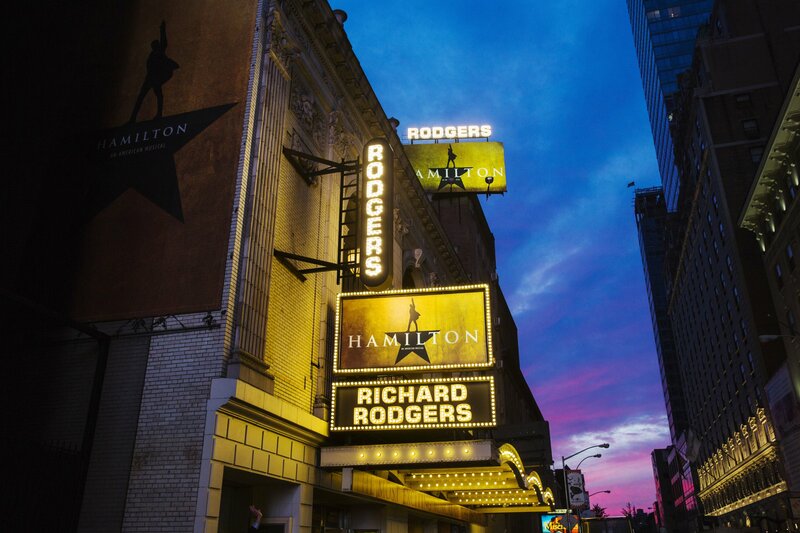 And a theater teacher at the Democracy Prep Charter High School in Harlem took a group of more than 100 students to see Hamilton during its off-Broadway run last spring. "That was the first [show] that didn't make me want to go to sleep when I was in it," says 16-year-old Pedro De Los Angeles, a student at the school. "It just stuck in my head, and I found history interesting. If history class was like that every day, I'm pretty sure the Regents wouldn't be a problem." The student is an actor himself, and Hamilton inspired him to perform in a school production of 9 to 5. 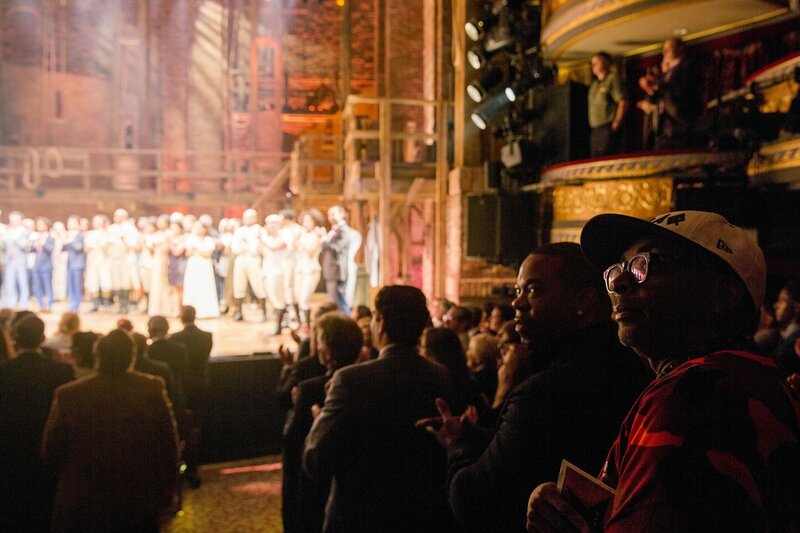 "Once I saw Hamilton, I was like, Whoa—a musical is just on a whole 'nother level. I was like, Maybe I should try, even though I can't sing." This show has done more than any work of pop culture to bring Alexander Hamilton out of the ivory tower and into the popular consciousness. It’s shown how the founder helped shape and articulate the country’s ideals, and regardless of whether or not it helps kids understand the Federalist Papers, Miranda is happy to be bringing theater to the 11th-grade masses. 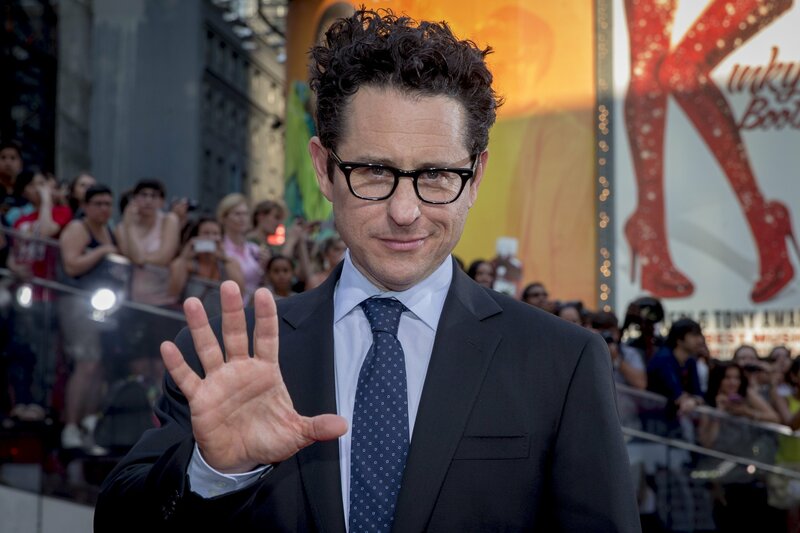 “The hope is always to expose theater to new audiences,” he says. “It's the oldest thing we got going. If the robots win, if Terminator 2 comes true, if the robots take over, we're still going to tell each other stories in the dark.